A clogged gutter might not seem like a critical issue, but left unattended, clogs can do quite a bit of damage. Gutter cleaning in Chicago to prevent clogs is especially important when winter hits. Ice dams and stubborn clogs can cause damage to your home in the form of siding, foundation, and landscaping damage. Angie’s List advises against neglecting to clean out your gutters. But still, many people avoid this menial task. However, knowing how clogged gutters cause damage to your home should motivate you to get taking on a thorough gutter cleaning in Chicago. Clogged gutters cause problems like mold growth and possible foundation damage or collapse. The most serious damage you as a homeowner face from clogged gutters is a foundation issue. When water flows out and over the side of your clogged gutters, the water pools around the perimeter of your house. Over time, the water seeping through the ground will damage your foundation to the point that it could collapse. Fortunately, foundation damage takes a long time to manifest. But the risk of mold growth can present itself in a relatively short time. As water overflows from clogged gutters it inevitably runs down the side of your home. No matter what type of siding you have, this causes serious damage to your home. However, wood siding is especially vulnerable to the damaging effect of clogged gutters. Overflow may cause siding to grow mold, spring leaks, or become warped. The area directly below your gutters is vulnerable to the effects of overflowing water. Delicate flowers and shrubs that you plant will be destroyed by the deluge of water. Overflowing gutters damage roofs in the same way they damage siding. Roofs may become warped and spring leaks. And a damaged roof is much more expensive than simply arranging for a gutter cleaning in Chicago. 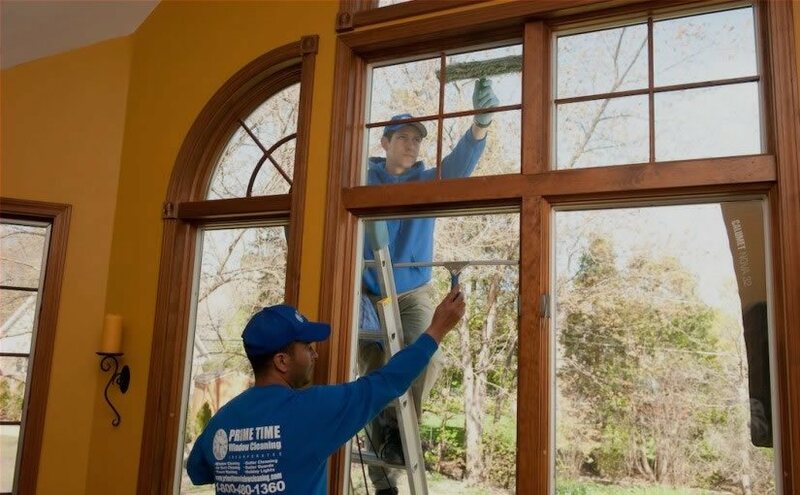 For the best gutter cleaning available in Chicago, contact the professionals at Prime Time Window Cleaning. Prime Time has been cleaning gutters for the homes and businesses of Chicago and the surrounding areas for several years. 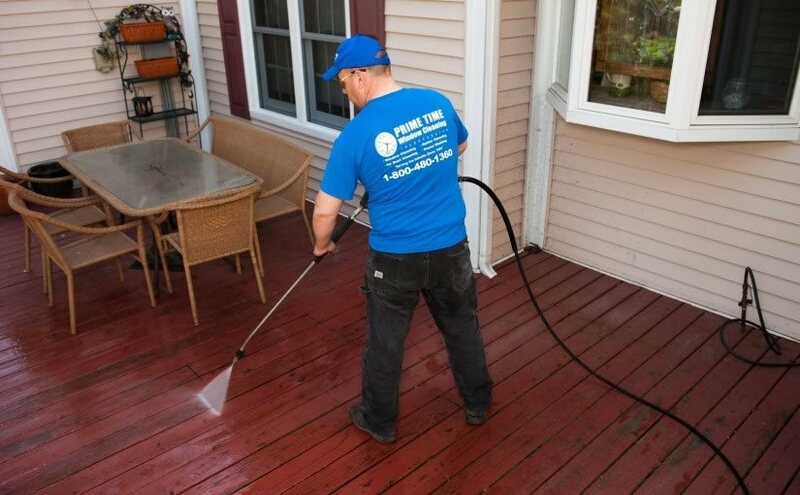 In addition to gutter cleaning, we provide window cleaning, power washing, and more services to keep your home looking like new. To learn more about our services, or for more helpful tips, browse the rest of our website. Or you can call us today at (855)635-5591!